Read the updated version of this post to find out what defines useful customer feedback throughout your entire Customer Validation process. One of the most important components of running a beta test is the feedback that you receive from your testers. Feedback refers to any information about the product experience collected from your beta testers during a beta test period. However, not all feedback is inherently equal. If feedback is confusing, irrelevant, or coming from the wrong people, it could do more harm than good. Selecting the right beta testers to test your product can be one of the most challenging components to beta testing. High-quality feedback must come from objective members of your target market that are not family, friends, or employees. The reality is, when you test with people that you already know, their feedback is biased. Not only this, but they may also not fit the demographics or technical requirements of your target market. You want your beta test to be as close to the actual release of your product as it can be, so your feedback needs to come from testers that represent your true target market. Feedback from your testers is only useful if it’s relevant towards the goals of your test. Feedback that doesn’t help you achieve your goals might be interesting, but ultimately it’s a distraction from what you’re trying to achieve. While the core goals of a beta test are generally to improve quality and gauge the user experience, you should also have specific objectives, such as testing certain core features or assessing the clarity of your installation documentation. You can then tie tester feedback to address those specific goals. Feedback needs to be clear and have the context you need to understand the feedback, and act on it to make your product better. For example, a tester could submit a bug saying “The sign-up process didn’t work.” This is feedback, but not high-quality feedback. For the feedback to be actionable for your team, you’d need additional information, such as what exactly the tester experienced that made them think the sign-up process didn’t work, the steps that preceded that moment, and the technical details of their environment (i.e. device, browser, OS). These details provide the full story needed for your team to accurately assess the issue and take action on it. 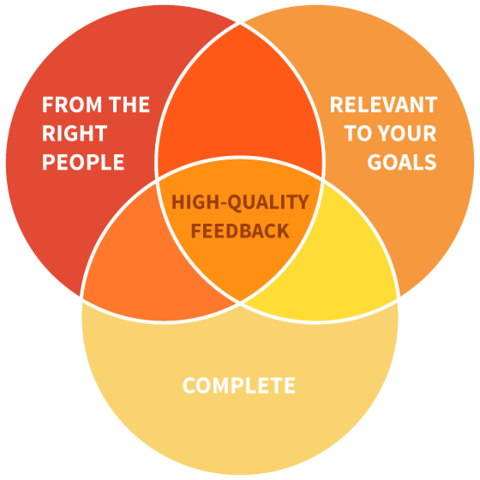 Feedback is good, but high-quality feedback has the power to drastically improve your product. By collecting feedback that fits these three criteria, you’re uncovering a true picture of the scope, severity, and priority of the issue or idea experienced by your testers. This, in turn, will benefit your beta test, the development of your product, and eventually, your company’s bottom line. Download The Beta Feedback Playbook for more great advice on collecting high-quality feedback in your next beta test. Download The Beta Feedback Playbook Now!